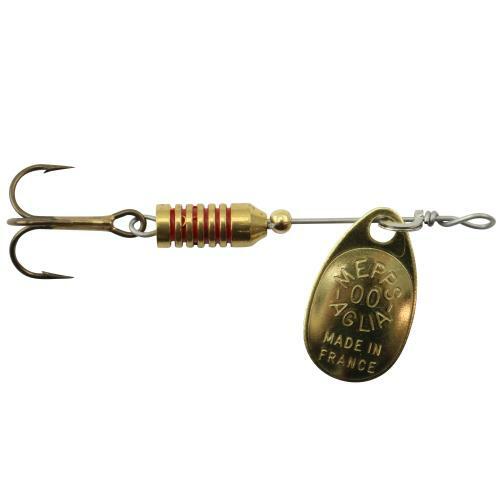 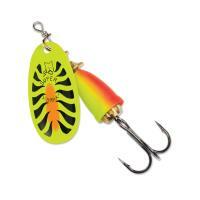 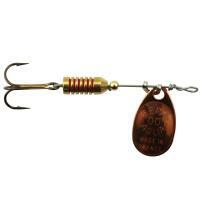 Mepps Aglia Ultra Lite Spinners are ideal for use with ultralight gear and 2 and 4 pound test lines. 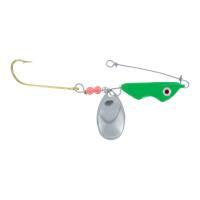 These tiny lures can even be used with fly rods. 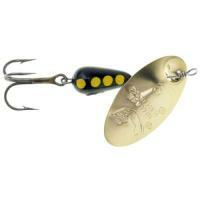 Aglia Ultra Lite Spinners are great for panfish and trout. 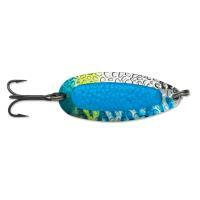 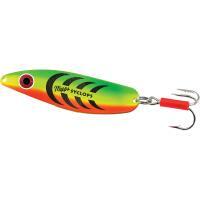 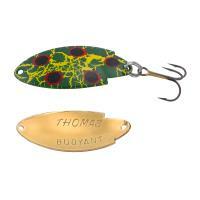 Thomas Whirlfish lures are designed with a whirling action that creates flash and vibration while moving through the water. 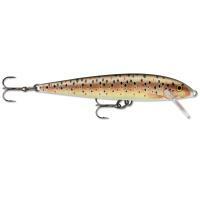 These lures mimic a fleeing baitfish, making them deadly on trout, salmon, bass, walleye, panfish, and other gamefish. 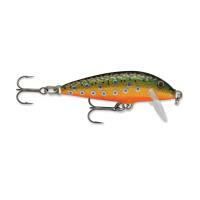 Whether fishing on lakes, streams, or rivers, Thomas Whirlfish lures will provide you with many hours of fish-catching enjoyment. 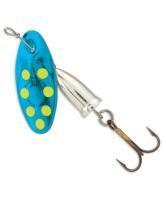 Each package contains one lure. 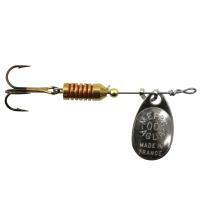 Thomas Whirlfish are made in the U.S.A.
Mepps Aglia Ultra Lite Spinners are ideal for use with ultralight gear and 2 and 4 pound test lines. 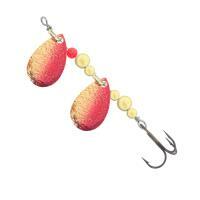 These tiny lures can even be used with fly rods. 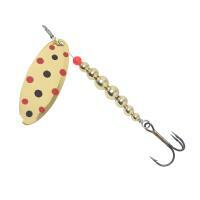 Aglia Ultra Lite Spinners are great for panfish and trout. 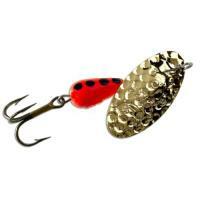 Like all Mepps spinners, Aglia Ultra Lite Spinners are perfectly balanced and feature solid brass blades and bodies, stainless steel shaft wire, machined beads, and quality hooks. 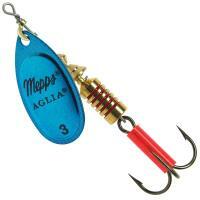 Mepps Aglia Ultra Lite Spinners are made in the U.S.A. 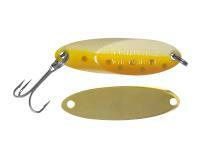 Comments: My favorite spinner for small, low, clear creeks for small, spooky trout. Give it a couple casts slightly upstream of a holding area and let it drift on a tight line, keeping it off bottom. 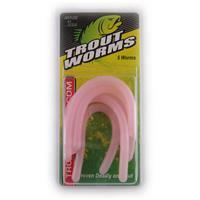 If Mr. Trout is home, he'll take it. 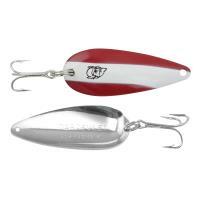 I wouldn't recommend fishing them on anything heavier than ultra-light tackle and 4lb line. 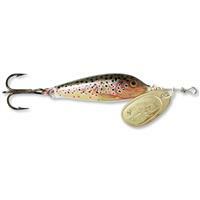 Comments: I have used it for years and caught everything from trout to panfish to rock bass all over. 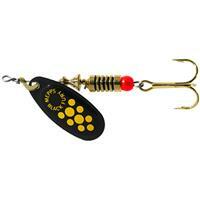 PS, only the gold blade has worked for me. 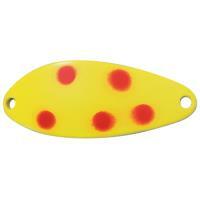 Comments: Very good product from grate manufacturer. 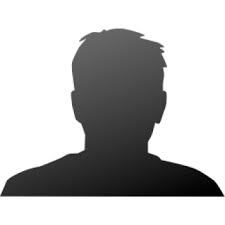 working good.